Laurel Eagles - Together We Soar! Welcome to the Laurel Elementary PTA Website! April 26 - Glow Party - 7-8:30pm - purchase tickets HERE! 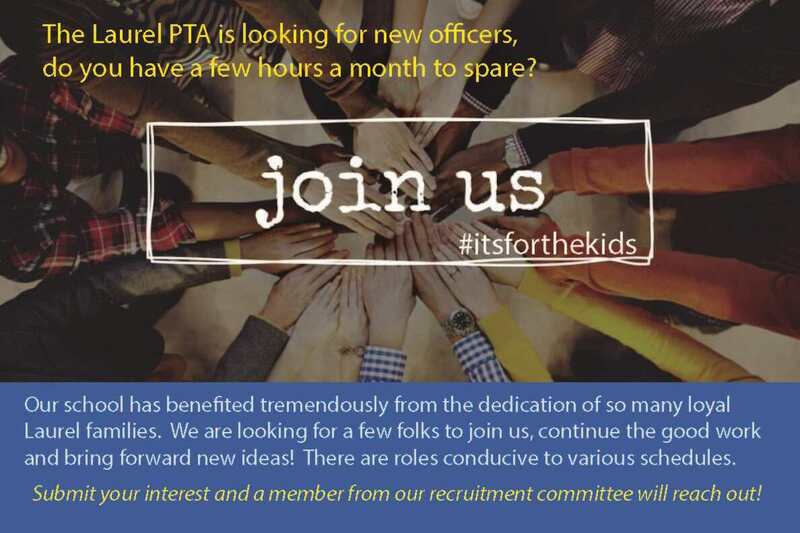 ​We need a president, treasurer, and secretary at MINIMUM to keep our PTA status active. Without the PTA, we will not have events such as Monster Mash, Art & Science Day, Field Trip support, or even Art in Action. 8% of your purchase goes to Laurel Elementary PTA! Keep inefficient "peaker" power plants off AND donate to Laurel at the same time by decreasing power usage during peak hours! The Laurel PTA is a participant in the Amazon Services LLC Associates Program, providing a means to earn advertising fees by linking to amazon.com.